We ride in Pride every year. We’ll pick a theme as it gets closer and let you know what it is. We will also include the directions for Registration once that is open. 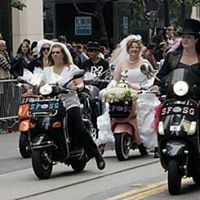 We ride with the Dykes on Bikes, so men are allowed only as passengers on this one.